Squeeeee! 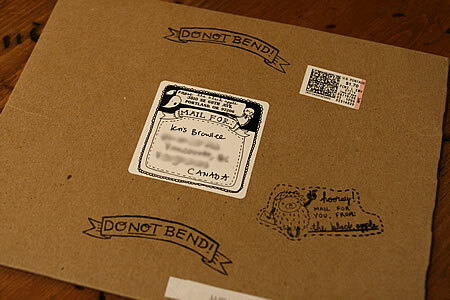 I got the most delightful package in the mail the other day & snapped a pic to share with you. I’ve been following Emily Martin of The Black Apple for about a year now. 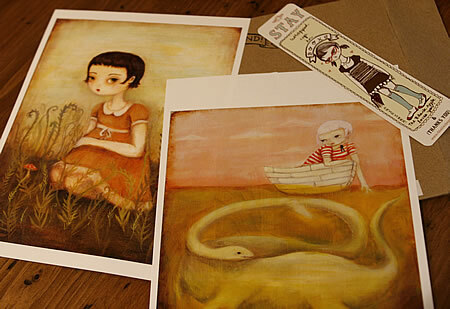 She’s primarily a painter, but she also makes dolls, ghosties and other crafty things when the mood strikes her. She’s got a fantastic Etsy shop filled with prints of her gorgeous paintings and when she does a big update (one that includes original paintings and handmade goodness) things sell out in minutes. Literally. Like 3 minutes flat!